Have you ever personally been named in a lawsuit? Have you worked in a facility that was sued for a poor outcome? The litigation process can be daunting and RDNs are not immune from legal challenges to our practice. In this webinar we will discuss common issues in healthcare litigation and what the RDN can do to minimize the risk as an individual, as a member of the healthcare team, and as an employee. Join Michael Phillips, Esq. and Kathy Warwick, RD, CDE, for this important and lively discussion. Discuss the litigation process and common legal terminology. Explain the steps an RDN can take to minimize the risk of litigation. Describe the standard of care and how it relates to the RDN practice. Highlight changes in the CMS requirements for long-term care facilities and the RDN’s responsibilities. 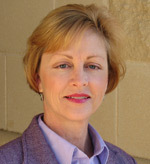 Kathy Warwick, RD, CDE, is a Registered Dietitian and Certified Diabetes Educator with 35 years of experience in several areas of dietetics practice. She is owner of Professional Nutrition Consultants, LLC in Madison, Mississippi, providing outpatient diabetes education, long term care consultation, hospice consultation, wellness program services, media communications and medical-legal consultation. She has served as an expert witness in numerous nursing home and malpractice lawsuits dealing with issues of malnutrition, weight loss, wound healing and diabetes care. Kathy speaks regularly to medical and professional groups on the subjects of diabetes, various wellness topics, and the role of nutrition in litigation. 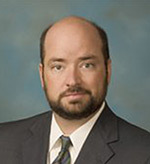 Michael Phillips, Esquire, is an attorney and founding shareholder with Hagwood Adelman Tipton practicing in Mississippi, Tennessee, Alabama, and North Carolina. He has a diverse litigation practice including premises and product liability, with an emphasis on medical malpractice and medical negligence. A significant number of cases involve the defense of professionals including physicians, hospitals, nursing homes and assisted living facilities. Michael holds the AV Preeminent® Peer Review Rating from Martindale-Hubbell representing its highest rating for ethical standards and liability. Kathy Warwick, RD, CDE, and Michael Phillips, Esquire, have no relevant disclosures to report. Both presenters have certified that no conflict of interest exists for this program. View our disclosure policy.